I had a completely different post planned for today, but it will have to wait. This morning we woke up to a foot of freshly fallen snow and a fierce wind chill. Winter this year hasn’t accumulated very much snow, it has been cold, but in general it has been an easy winter. To a tween this is fantastic…no snow pants required. As the parent of a tween…I beg to differ. With a cold weather alert in effect and high winds, today is a snow pant day. I have never had an issue getting my children to wear warm clothing in the winter. They understand why they need to stay warm and they know the clothing that will keep them warm. Unfortunately, we have entered the phase when wearing snow pants is not “cool”. My tween daughter will only wear snow pants in a handful of situations; skiing, sledding, skating, after a MAJOR snowfall and when her friends aren’t around. Not on a school day morning…even though it is frigid outside. What is a mama to do? Let her go off and freeze? Allow her this opportunity to stretch her independence? Let her learn for herself? Bribe her? None of these work, sadly. My husband phoned before we left for school and asked to speak to my tween. “I’m not wearing my snow pants, Dad.” Obviously, he and I are on the same page – a totally different page from our daughter. So, off we went to school. A snow pantless tween and an 8 year old bundled up to the max. I convinced my tween to bring her snow pants to school – minor battle won. I could see that her thin yoga pants really weren’t keeping her warm enough. There would be no admission from my tween. 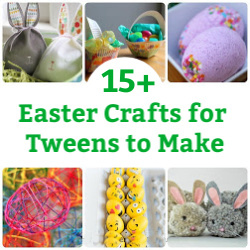 Do you have a tween or pre-tween? Have you ever faced a snow pant battle? How did you work it out? 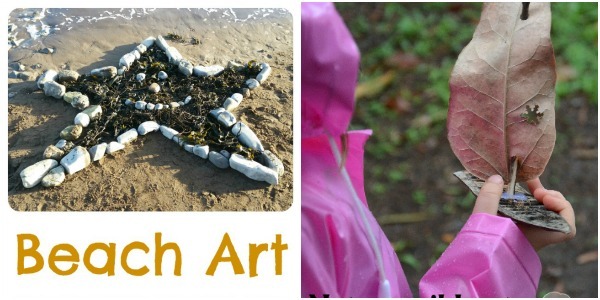 The Boy and Me had fun creating beach art. Mother Natured built nature boats and explored a creek. It’s time to party! We would appreciate it if you included a link back to this post (either in your post or sidebar) to help us spread the word about the importance (and fun!) of outdoor play! 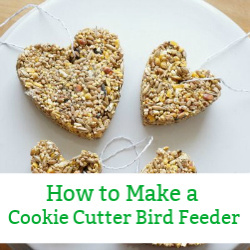 In return, we’ll gladly further share your post on Pinterest. 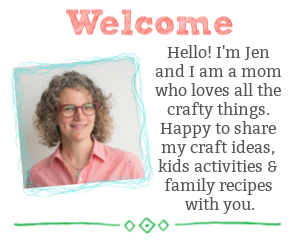 Please feel free to grab the Outdoor Play Party button from my sidebar and/or include a text link back. Please note, that by contributing you are giving permission for an image and link to your post to be republished if featured. Share your ideas for outdoor play activities with us every other week. I remember those days having raised three girls. I encouraged layering….tights, leotards under pants. You can also get lined leggings now to go under pants. If you can get them to modify the outer layer of clothing you can add an extra layer underneath. You can also get very soft, smooth ski long johns that work well under pants. When all else fails, they have to live with the consequences of a walk in the bitter cold. Sigh. Oh thank-you for making me smile today, your post brought back so many tween memories! I honestly would never want to go through at that teenage angst ever again. For us, it’s the battle of the socks! My tween insists on wearing shoes with no socks all the time — even when the temp is 12 degrees, or it’s raining cats and dogs, or she’s sniffling from a cold. It’s hard — we’re trying to help them learn to dress for the weather but sometimes that means not expressing their personality or feeling like they will stand out at school. But a Mom’s gotta try (for the health of the child and my own sanity) — at least if I make the request a few times and she ignores it, I feel I’ve done my job as a Mom. Ah, socks! My kids are pretty good with socks and shoes…so far. However, I know exactly what you are talking about. I think we have to agree to disagree with some of these clothing issues. They’ll come around, eventually. Oh I can only imagine what is to come…I’m fighting the same battle with my 4-year-old every day in the winter. She doesn’t like to wear snow pants because they hide her pretty dresses, lol! 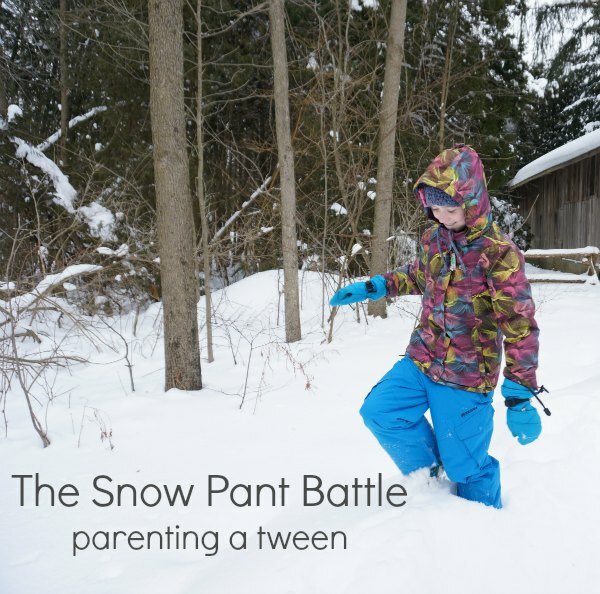 I’m sure I’ll still be fighting the same battle by the time she’s a tween…Personally I don’t know why anybody voluntarily would want to go without snow pants in the winter in a cold climate. I wear my ski pants pretty much every day outdoors in the winter and love it! Linda, I have had my long underwear on since October! I love being outside, but I love being comfortable. I have to say wearing a dress with snow pants is a real challenge…tucking in the dress can be so uncomfortable. There’s nothing worse than an uncomfortable 4 year old. I’ll never have to worry about the snow pant issue where I live (in Australia) but I will have to worry about the rashy sun shirt when she’s a tween. It’s skin cancer or the shirt. I know she’ll pick skin cancer every time, just so she can look ‘cool’. Sigh. I’m not looking forward to that but thankfully I have a couple of years to get used to it. Yes, I suppose depending on our climate, we all have our challenges. Prepare yourself now…we are raising wonderfully independent children. Thanks for finally talking about >The Snow Pant Battle <Liked it!